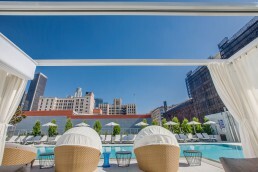 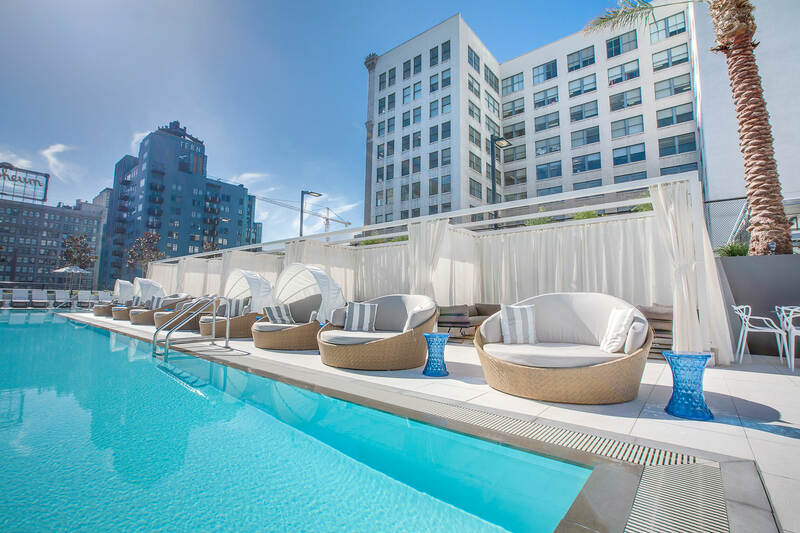 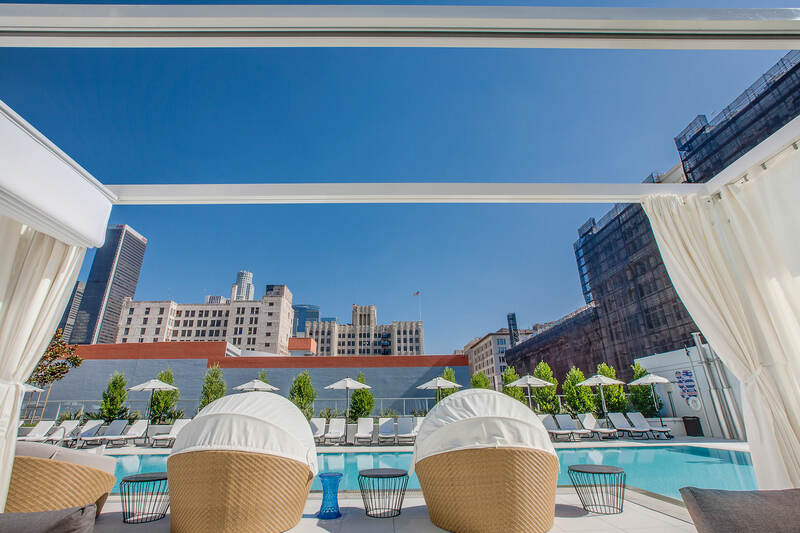 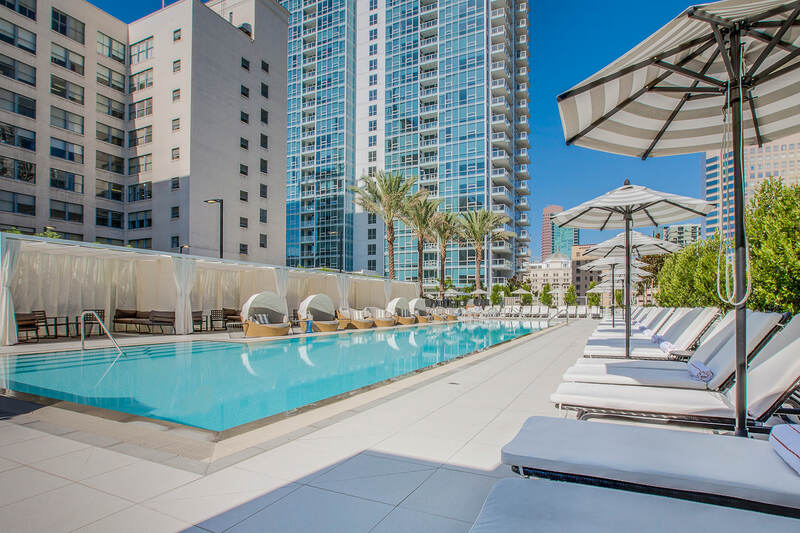 LEVEL Furnished Living is a Los Angeles establishment that offers luxurious, furnished apartments for residents who desire everything from vacation rentals to long-term stays. 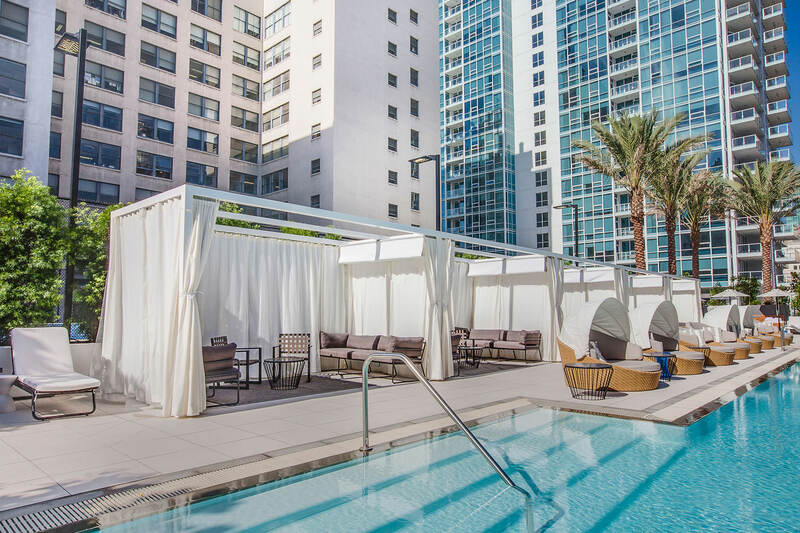 When this high-end establishment was looking to revamp their pool deck, they turned to ShadeFX to create private cabanas for their residents. 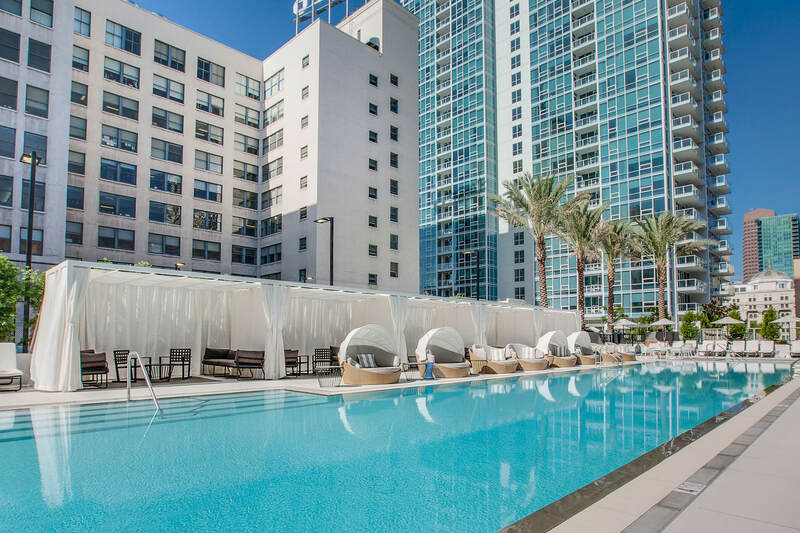 Through LEVEL’s commercial developer, Onni Group, ShadeFX was appointed to provide a turnkey solution for providing privacy and protection for their guests lounging at their fourth story pool. 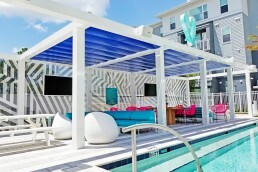 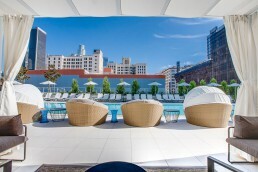 LEVEL’s new outdoor space includes an aluminum structure that covers 80-feet along the pool deck. 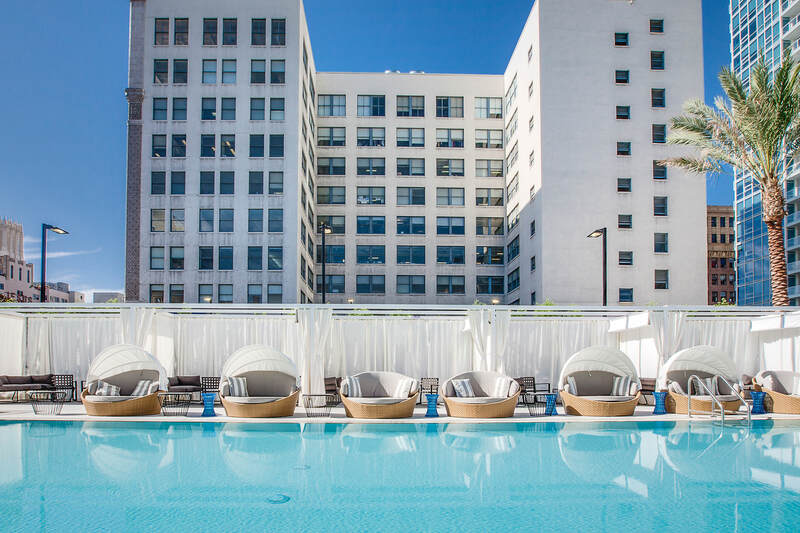 This structure is sectioned into five separate cabanas. 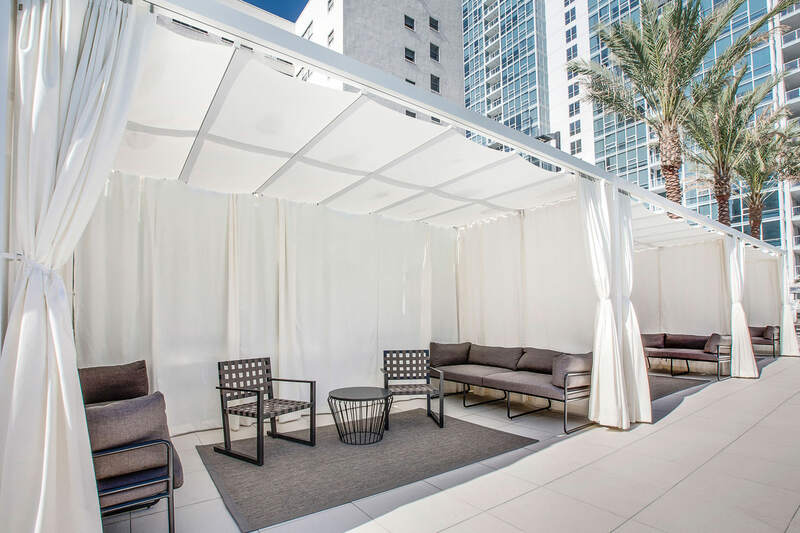 Each cabana includes curtains on either side to provide both separation and privacy and its own retractable canopy. 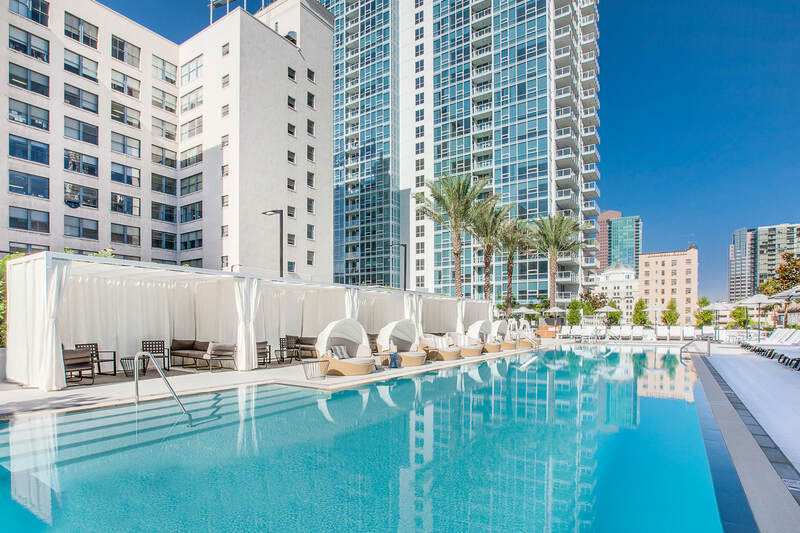 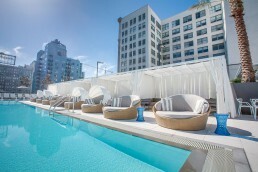 The all-white design added to the luxurious pool’s modern resort feel. 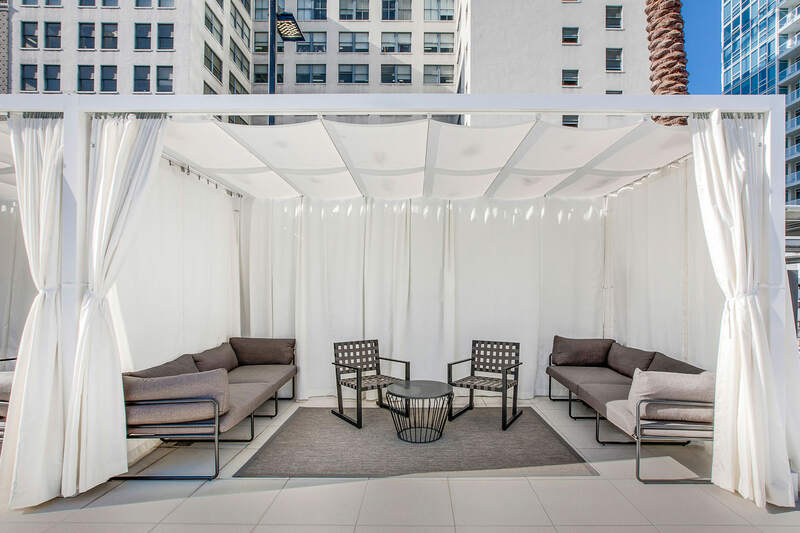 ShadeFX custom manufactured all of the structure elements in the design and delivered them ready-to-assemble for LEVEL Furnished Living. 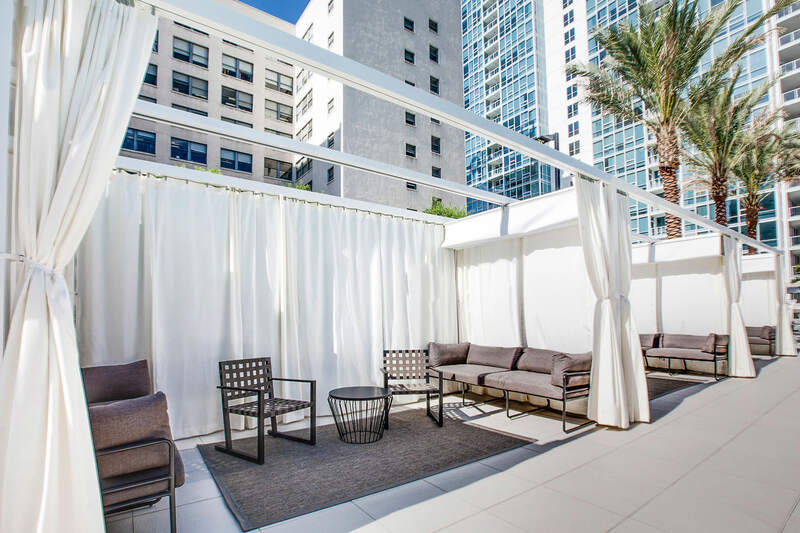 The private cabanas are large enough to house ample seating, including chairs and two outdoor sofas for residents looking to relax and unwind in the bright California sun. 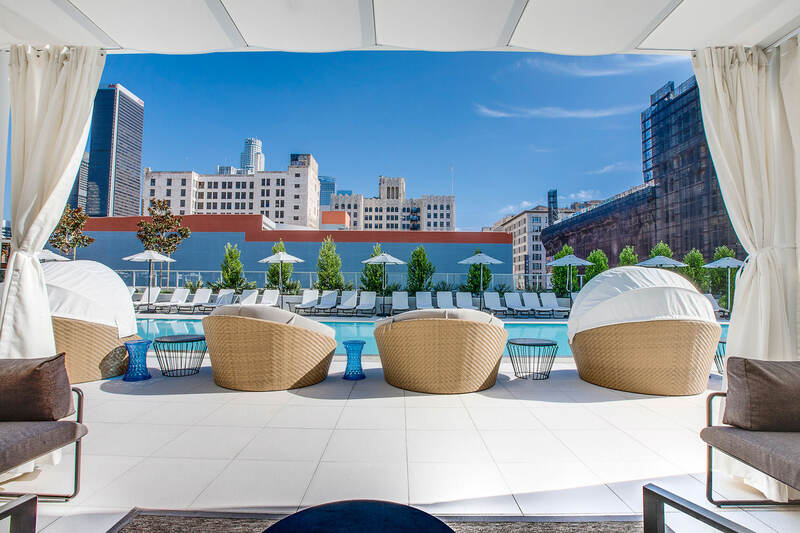 With the new ShadeFX solution in place, LEVEL is able to add some much-needed privacy for residents relaxing at their L Club retreat, the building’s state-of-the-art 37,000 square foot indoor and outdoor amenity floor. 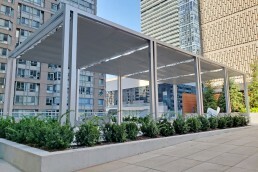 LEVEL’s new outdoor space includes an aluminum structure that covers 80-feet along the pool deck. 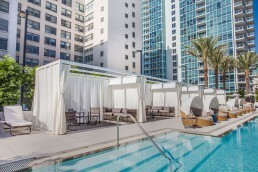 This structure is sectioned into five separate cabanas. 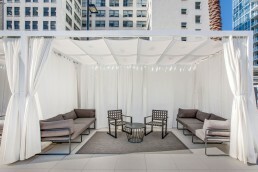 Each cabana includes curtains on either side to provide both separation and privacy, and its own retractable canopy. The all white design added to the luxurious pool’s modern resort feel.